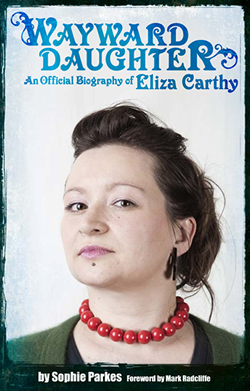 Wayward Daughter: An official biography of Eliza Carthy: Today's the day! Today is the day that Wayward Daughter: the official biography of Eliza Carthy is released! Hurrah! If this site hasn't enticed you enough, please visit the Soundcheck Books site for more info, or check out the first review here.